Just like many other countries in Southeast Asia, Myanmar is equally as unique with similarities to the other countries. Myanmar is amazing place to visit for its rich cultural heritage, delicious food and wonderful natural sights that can be found across the country. Travellers from all over the world make frequent trips back to this country for its inexpensive traveling cost from anywhere in the country through one of the many Myanmar bus operators such as Lumbini Express. 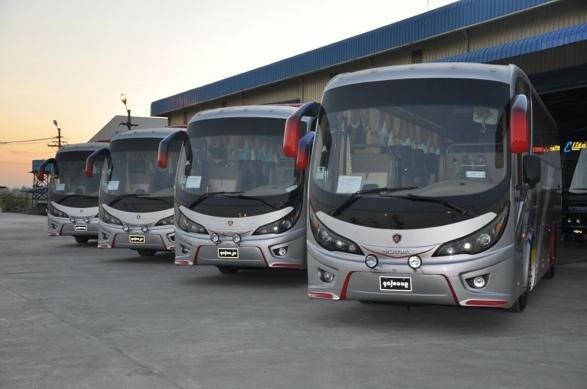 Anyone who is planning to explore the cities within Myanmar can make Lumbini Express bus tickets online booking conveniently through Easybook to visit incredible cities like Yangon, Mandalay, Monywa and Taung Gyi. These places are well-known for its historical and cultural structures such as the beautiful pagodas, religious heritage temples and breathtaking landscapes to be enjoyed by the entire family. Lumbini Express is a trusted transport operators based in Myanmar that provides express bus services to all the famous cities. 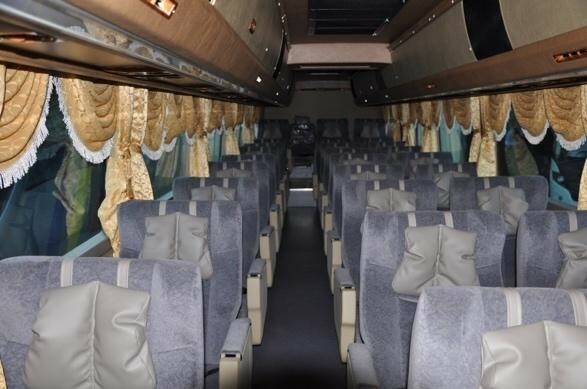 This Lumbini VIP express operator provides daily bus trips from Yangon to various cities in Myanmar. Among the famous bus routes include trips from Yangon to Mandalay, Taung Gyi and Kalaw. The boarding point for Yangon is located at Aung Mingalar Highway Terminal while the drop-off points for Mandalay is at Chan Mya Shwe Pyi (Kyweseskan) Bus Station and Merchant Street-Kan Shae is for Taung Gyi. From Taung Gyi, there is a trip available to Kalaw Highway Bus Station in Kalaw with Lumbini Express as well. They also offer return routes from Mandalay, Taung Gyi and Kalaw back to Yangon, which is the largest city in Myanmar. When travellers choose to ride with Lumbini VIP Express, they will be provided with two skillful and experienced bus drivers, as well as two helpers that are allocated on every bus to make sure passengers arrive at the destination safely for each schedule and have a pleasant journey. 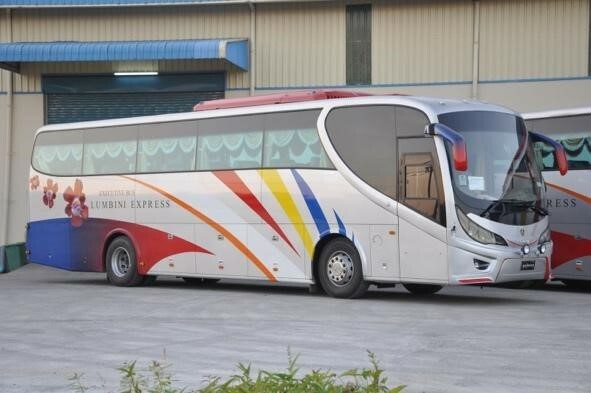 Lumbini Express offers premium services with affordable price services to locals and travelers with their 2+1 seating arrangement that fits 27 passengers. The buses come with spacious leg room, air conditioning system and LCD TV to allow passengers to feel comfortable and have a pleasant experience with Lumbini Express. In the past, Myanmar bus tickets can only be purchased at the counter or through a third-party agent. Booking a bus ticket can be very tedious and time consuming for a traveller, which is why Easybook have created a platform to help ease the process. Just like any other online shopping, Easybook offers transportation tickets with reasonable prices through your laptop or mobile phone including Myanmar bus tickets for Lumbini Express. Our website is very user-friendly and the online booking process can even take less than 10 minutes. Choose the pick-up location followed by the drop-off destination and travel date as well, to check out the available schedule with its bus ticket price. Select the preferred trip from the schedule before proceeding to make the online booking. Users will receive the order confirmation through email after the payment is successful. With the bus ticket already done, travellers can go ahead to make a hotel booking and make the necessary travel plans accordingly. Easybook want to make your travel plans as hassle-free as possible and we cannot wait to accept your next Myanmar bus ticket booking!